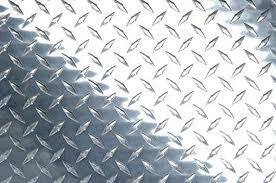 We are well recognized fabricator and suppliers of Stainless Steel Chequered Plates all across the globe. Fabricated in Stainless Steel we offer Chequered Plates with uniform surface and sturdy constructions. We also provide customization service at a very competitive rate. The resources used to manufacture these products are procured from reliable vendors. We offer these plates in different sizes, grades and specifications like 202,304, 304L, 316, 316L.